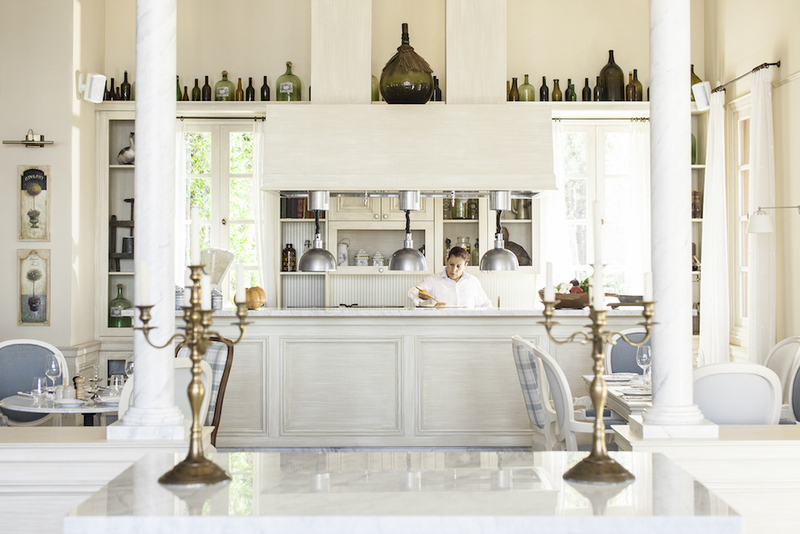 ​Today, the original owner’s nephew and the CEO of SKY Management, has breathed fresh life into La Crêperie. 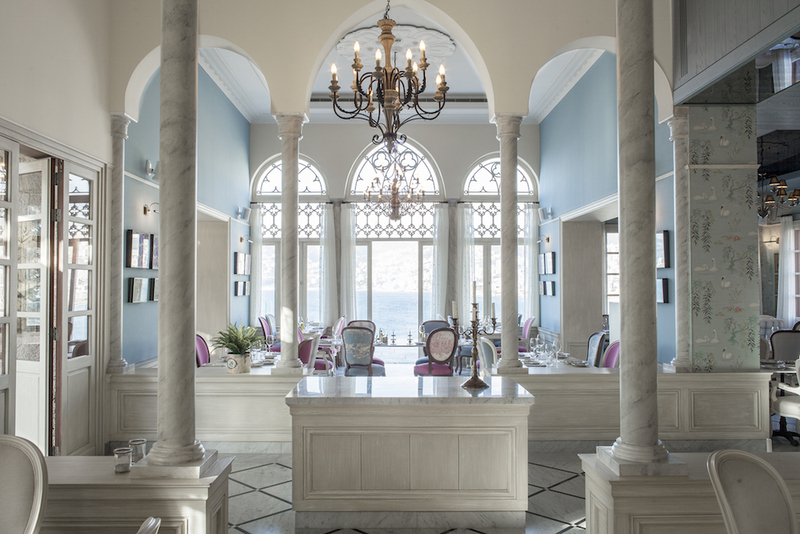 Working together with his brother, Sari el Khazen—who was responsible for the interior and exterior architecture—the magnificent house has been restored to its original glory. The restaurant, open all year round for lunch, drinks and dinner, seats 150 guests on two levels indoors and over 400 people outside in its expansive gardens. On the seasonal menu are buckwheat galettes and sweet crêpes—with fillings ranging from thyme and olive oil, to sugar, Grand Marnier and butter—alongside mouthwatering Mediterranean dishes, such as fresh salmon fillets, steak tartare and the classic salade niçoise—made with high-quality fresh produce, much of which is sourced locally. The back garden area, created by Sari el Khazen in collaboration with landscape designers Roots, has its own distinctive ambiance. Upon arrival, walls of hanging jasmine with their heady fragrance lead you to the entrance of the restaurant, and the garden filled with roses, gardenias, lavender, basil and cinnamon trees stimulates the senses with its enveloping scents. The gardens’ own microclimate creates a haven in which to relax, and also includes a children’s playground to keep La Crêperie’s youngest patrons entertained. 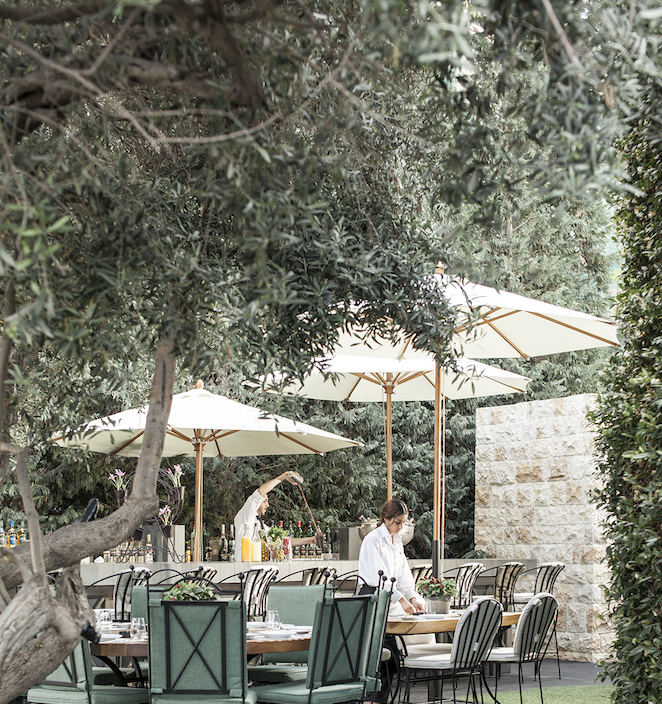 The four-seasons garden is in bloom continuously, with new plants flowering throughout the year—while the 1000-year-old olive tree firmly anchors the restaurant’s outdoor space to its rich history.